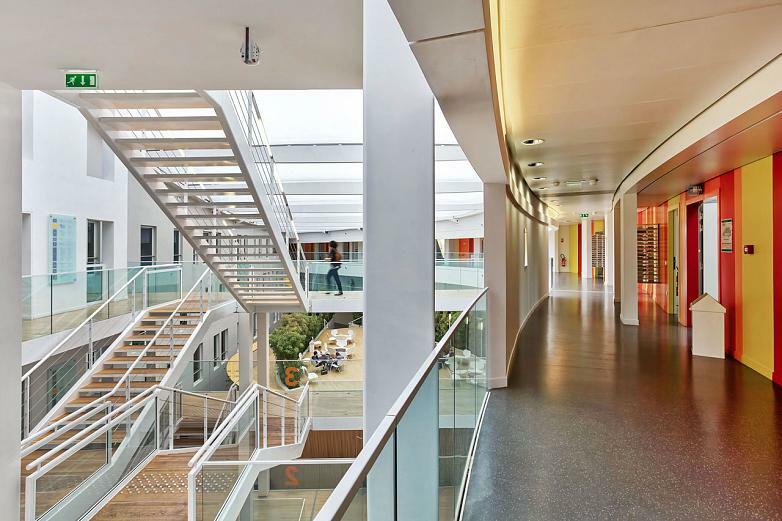 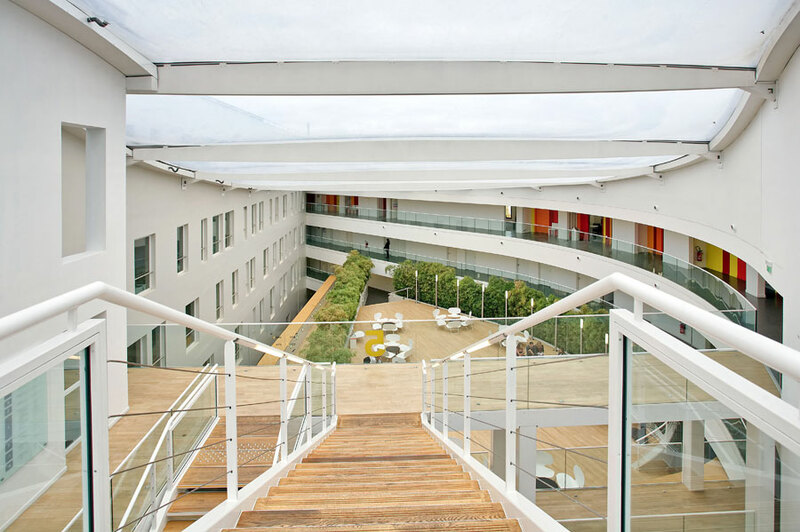 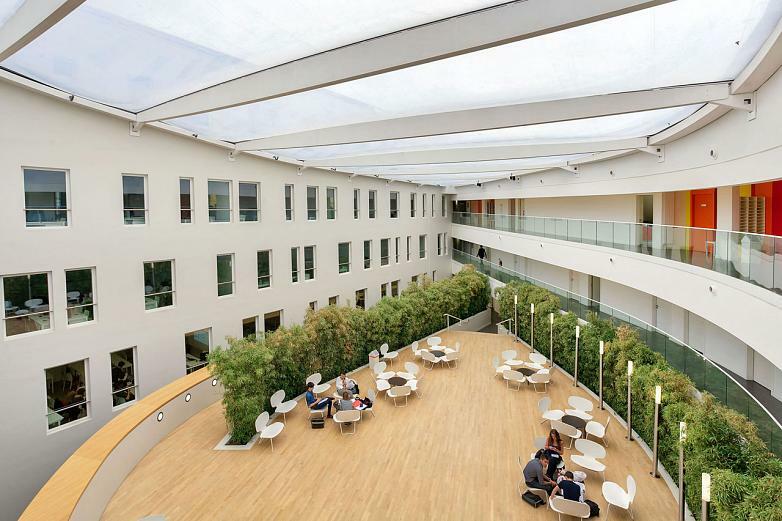 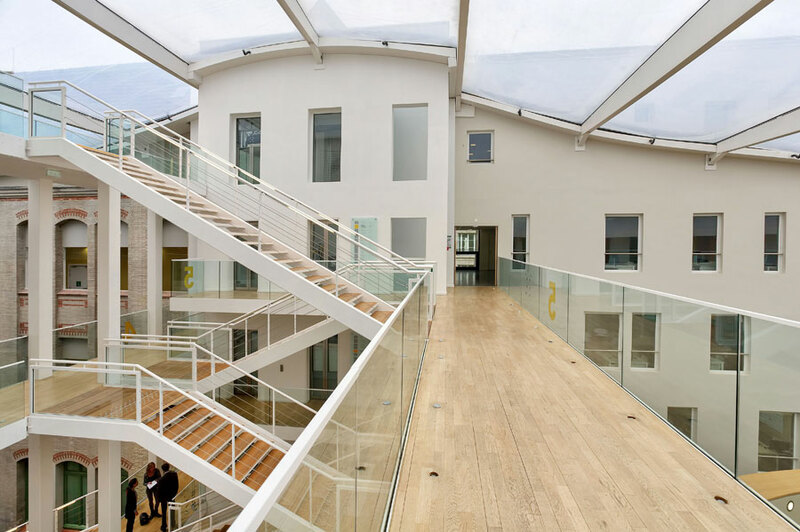 The French AS Architecture-Studio are the authors of the reform and expansion of Novania Business School, carried out under the High Quality Environmental criteria (HQE), in Montparnasse, a district in Paris. 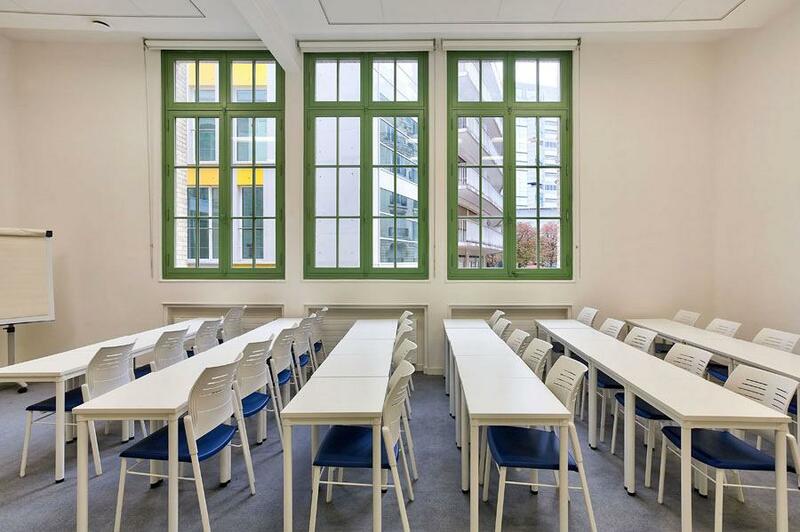 The project is home to 1.200 jobs in different areas that make up 18.000 m2 of the school and has classrooms for 1.555 students, three amphitheatres, an auditorium, offices, a sports pavilion, a meeting area and a cafe. 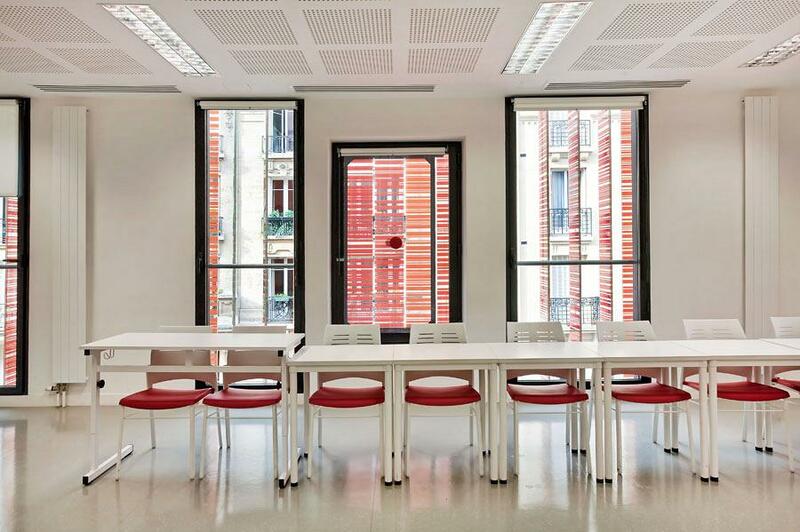 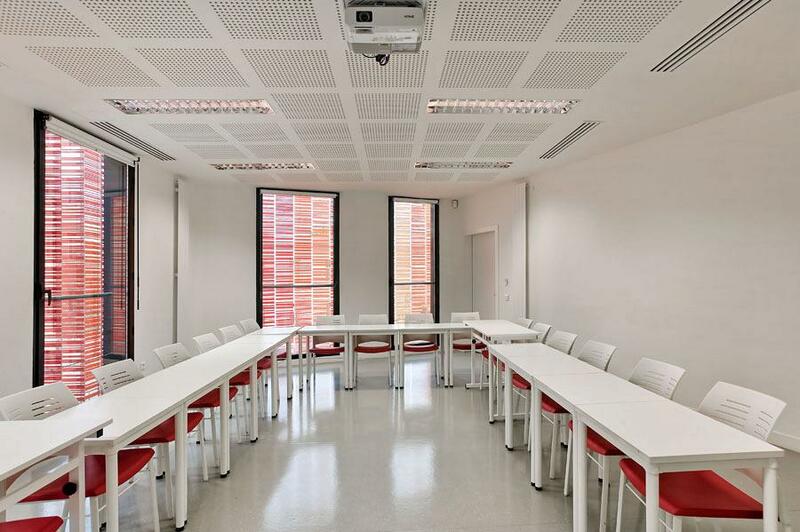 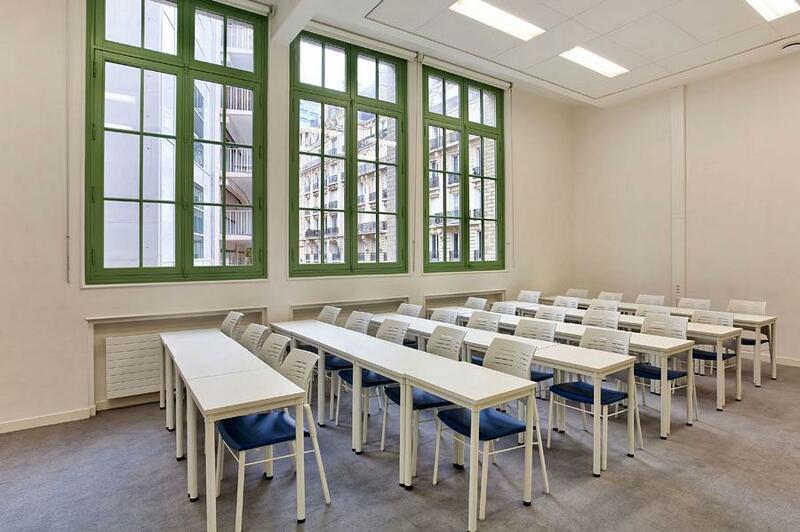 he Novancia school in Paris is the new Chamber of Commerce and Industrial business school; which reflects its origins and represents at the same time innovation. 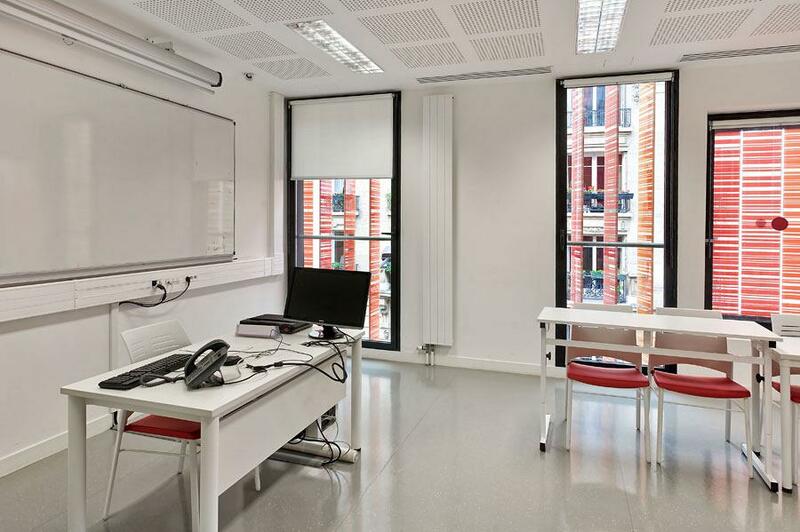 This new building is derived from the fusion of the two original schools (Advancia y Negocia) in a single establishment, in 2011. 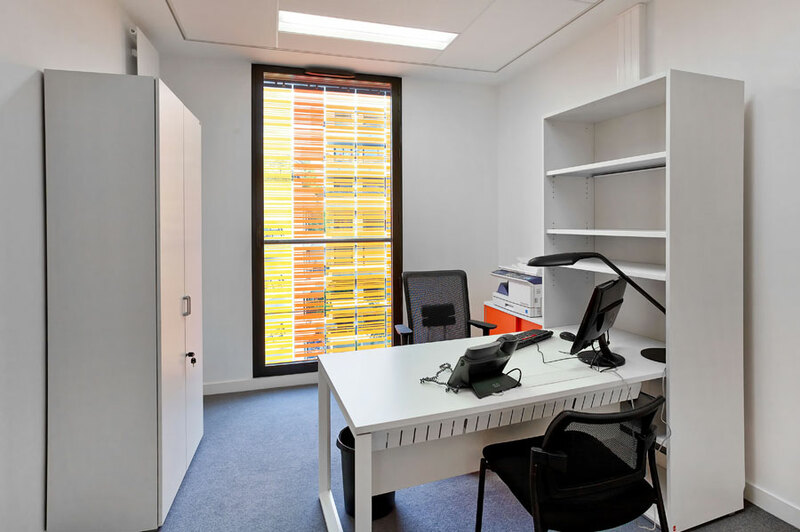 In contrast to the brick which was used in the original building opened in 1908, the new glass facade of the extension brings a gradient of colour from red to yellow with more that 4000 rotating slats which controls the inlet of temperature and light into the building. 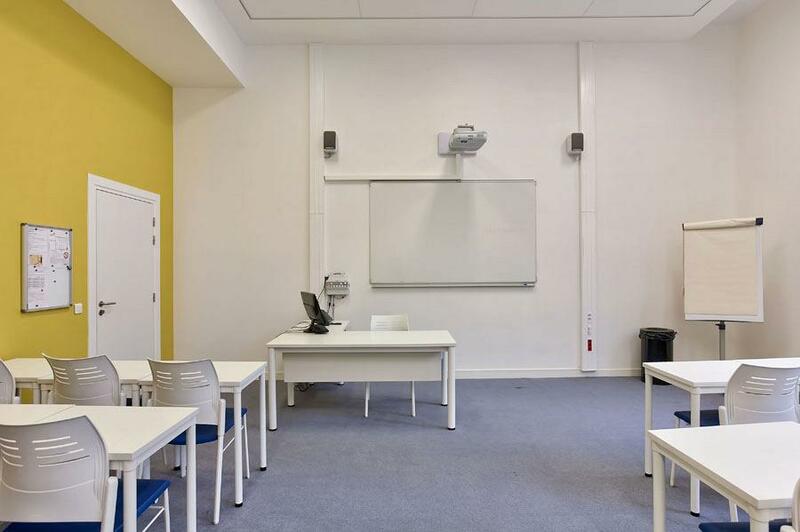 The classrooms have been furnished with desks from the Dynamic program, simple lines but which allow you to tailor solutions. 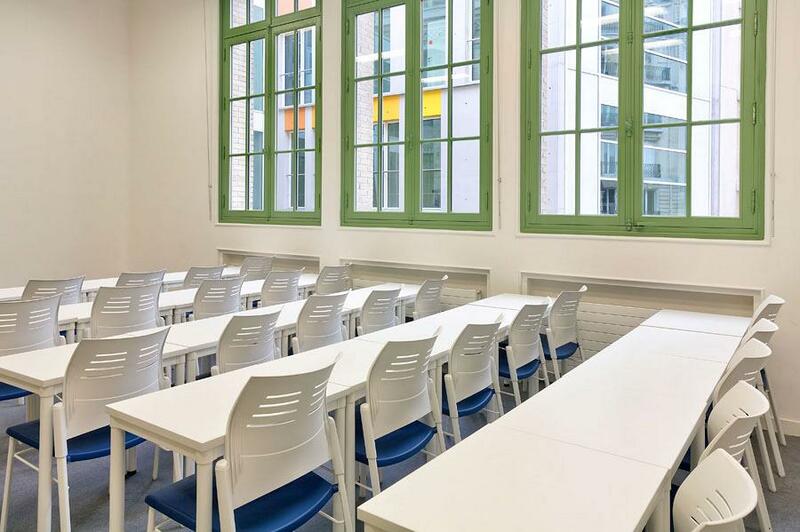 The chairs belong to the Spacio models, with backs made from polyproplylene and fibre glass in white, to match the desks and an upholstered seat in electric blue. For the multi purpose rooms the same composition was chosen as the classrooms (Dynamic desks and Spacio chairs) although to differentiate between the rooms, in this case the seats of the chairs have been upholstered in red. 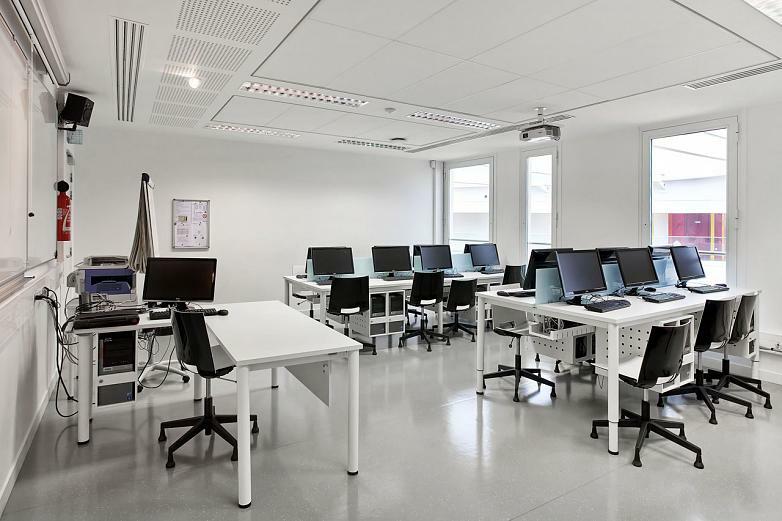 The program Cool E100 desks have been used to equip the computer rooms catering for the needs of the equipment, its wiring and peripherals; thus offering a vision of a room that is ordered and clean. The Cool E100 desks have the capacity to incorporate table top dividers, as well as a hidden wiring channel and easy access which provide maximum optimization of the work surface. 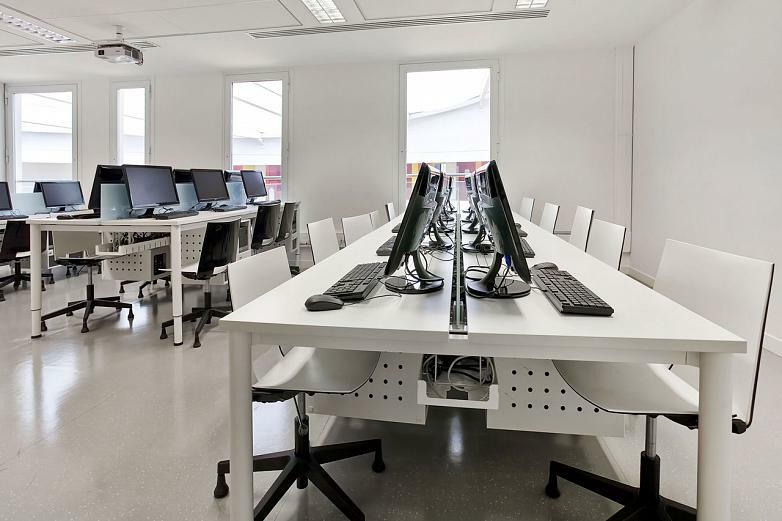 Some support have been manufactured from sheet metal specifically for each CPU. In the offices, as well as the rest of the installation, simple lines, functional and light dominates. Each unit has a Vital Plus ST/60 desk with a closed frame and a Winner chair with a back made from high tenacity technical elastic mesh. 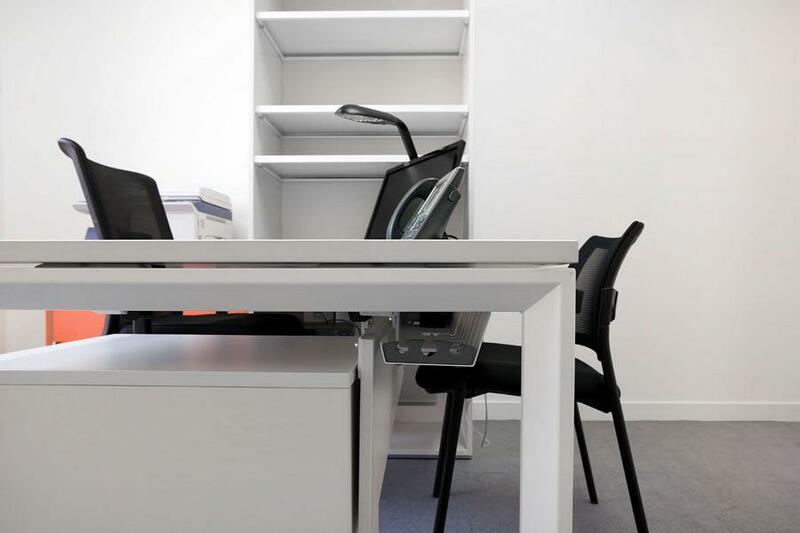 For storage and filing we have installed modular cabinets and pedestals made from melamine.